Godzilla: Planet of the Monsters is the thirtieth Japanese film to feature the country’s (unquestionably) biggest film star. But amazingly, it’s only the first Godzilla film to be made in animation. It’s written by a star scribe of anime, Gen Urobuchi, who was the twisted genius behind PSYCHO-PASS and Puella Magi Madoka Magica. The film is animated by Polygon, the trailblazing CG studio responsible for titles from Ajin to the Ghibli-produced Ronja. But Polygon’s Godzilla is more in the vein of Polygon’s SF fare, like the BLAME! movie and the Knights of Sidonia space-opera. As in those sagas, Planet of the Monsters imagines humanity in retreat. Godzilla, quite simply, has won. The big G and his fellow monsters literally drive puny humans from the face of the Earth, with the last survivors fleeing in a huge spaceship, helped by two alien races. But exile is hell, and the humans decide to return to Earth for a rematch. The film’s title is a spoiler for what they’ll find. Given this is Godzilla’s first animated film, it’s worth reflecting on his complex relationship with animation, going all the way back through his 64-year career. The very first Godzilla film, made in 1954, was famously inspired by Japan’s wartime traumas – Hiroshima, Nagasaki, the Great Tokyo Raid – and by current events such as the Lucky Dragon scandal. But it was also inspired by animation – not Japanese animation, but American. Most obviously, the film was influenced by the original King Kong film (1933), with its giant ape magically created by stop-motion animation. Kong was reissued in Japan in 1952, just two years before Godzilla. This was also the year of America’s The Beast from 20,000 Fathoms, whose story should sound familiar; a dinosaur is revived by a nuclear test, and causes havoc in New York. Like Kong, Beast had a stop-motion monster, an early creation by legendary animator Ray Harryhausen. Godzilla’s own working title made the debt plain; it was originally called The Giant Monster from 20,000 Leagues Under the Sea. For Godzilla’s effects creator Eiji Tsuburaya, animating Godzilla in stop-motion wasn’t a practical option. He built on other effects those films used: miniature backgrounds, models and superimpositions, which Tsubaraya had deployed with terrific success in a war propaganda film, 1942’s The War at Sea from Hawaii to Malaya. Instead of stop-motion, he created Godzilla by putting an actor – actually, two actors alternating– in a scratchy latex rubber suit. He also created meticulous miniature sets and buildings which Godzilla could kick down; the epic destruction looks far more impressive today than Godzilla does himself. Without knowing it, Tsuburaya was creating an industry that would endure for decades, and would parallel with anime. In both cases, it was a matter of Japanese creators observing an American form that was impractically hard to recreate as it stood: Kong-style stop-motion for Tsuburaya, Disney-esque animation for Tezuka. Tsubaraya made Godzilla by using suits and miniatures; just a decade later, Osamu Tezuka would devise his own workarounds, creating a system of limited animation for his animated series Astro Boy. In both cases, foreign pundits would deride the Japanese forms as cheap, second-rate substitutes for the American originals (this wouldn’t stop Americans from imitating Japan soon enough; the suit/miniature approach of Godzilla was used for the first American King Kong remake in 1976). And yet, Godzilla and Astro Boy became the beginnings of new, distinctive aesthetics in Japan. The aesthetics of anime, and its debts to Tezuka, have been discussed often enough. But as for the aesthetics of Japanese practical effects descended from Godzilla – known in Japan as Tokusatsu – they would be passionately described decades later by superfan Hideaki Anno, the creator of Evangelion. 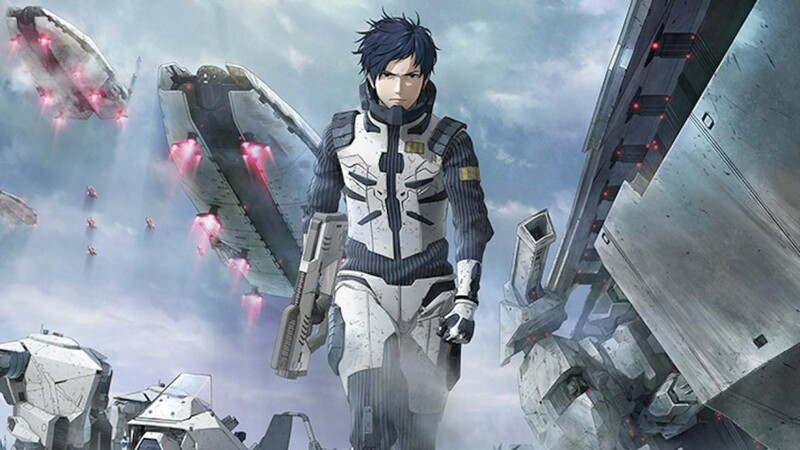 Thus Anno is praising tokusatsu effects, which might have once been derided as an inferior substitute for one kind of animation – stop-motion – as superior to another kind of animation: CGI. Of course, Anno would almost certainly argue that tokusatsu effects are far closer to stop-motion, in aesthetic terms, than either technique is to CGI. After all, both stop-motion and tokusatsu involve physical objects being filmed in camera, and Anno’s comments in the previous paragraph could be applied to both forms equally. Anno’s tokusatsu exhibition came long after CG effects had triumphed in Hollywood, after the revolution of Jurassic Park in 1993, which starred a digitised T-Rex. Five years later came Hollywood’s act of CG sacrilege on Godzilla, in the 1998 turkey by Roland Emmerich. In Japan, Emmerich’s imposter was duly defeated by the real Godzilla in 2004’s Godzilla: Final Wars. And even in that film, made a decade after Jurrassic Park and five decades after the first Godzilla, Japan’s most famous monster was still played by a man in a monster suit – one Tsutomu Kitagawa. But while Godzilla seems to be surrendering to CG in effects films, what of his presence in traditional anime? Strangely, there never appears to have been any straightforward anime version of Godzilla before the new Polygon film; no film, no TV show and no video production. In anime, his influence is felt most obviously in shows about giant monsters. Readers old enough to remember Battle of the Planets, the Americanised version of 1972’s Gatchaman, will recall its legion of G-sized creatures, from space terrapins to flying giant mummies. Today’s Attack on Titan can be counted as a Godzilla cousin, if far removed; the same goes for Anno’s roaring Evangelion. But Godzilla himself is almost entirely absent from anime, with odd exceptions like a fond cameo in the Urusei Yatsura film Beautiful Dreamer (where the characters enjoy the original 1954 film, recreated in animation). If you go to a cinema in the Toho multiplex chain in Japan, you may have seen an animated Godzilla before the main feature – but it was presumably created by America’s Illumination Entertainment, as it features Godzilla striding over that studio’s mascots, the Minions from Despicable Me. Godzilla has been animated far more outside Japan. 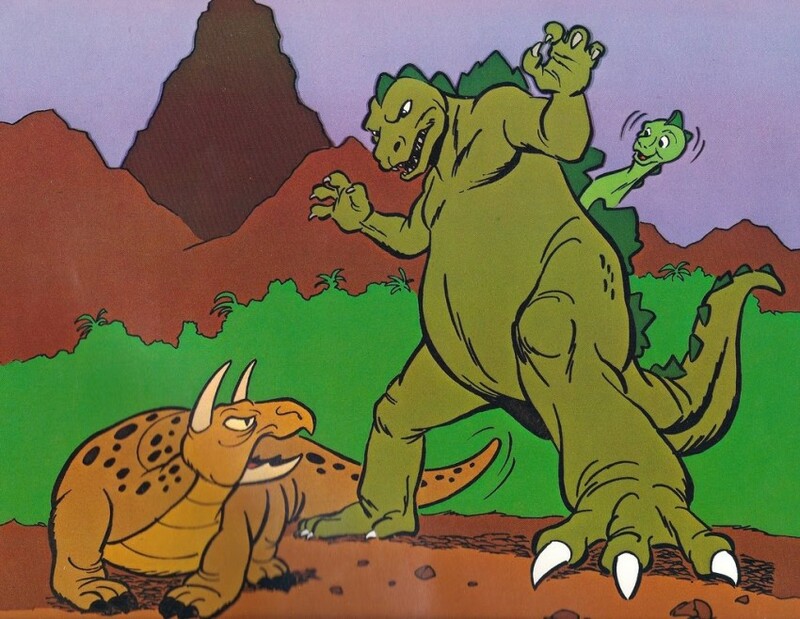 Bambi Meets Godzilla was a celebrated joke film from 1969, complete with the caption, “We gratefully acknowledge the city of Tokyo for their help in obtaining Godzilla for this film.” Far more readers – the same generation who remembers Battle of the Planets – met Godzilla through the 1978 kids’ cartoon by Hanna-Barbera (packaged in America with Jana of the Jungle and the like). For some fans, this cartoon is as heinous a fake as Emmerich’s version, but the writer of this article sees even Godzooky as canon. In Hanna-Barbera’s cartoon, Godzilla is a superhero, who inexplicably sticks with the human crew of a research ship, forever bailing them out. Twenty years later, Godzilla got another American cartoon, spun off from Emmerich’s film and made by Adelaide Productions, which had made Extreme Ghostbusters and Men in Black: The Series (the new toon was named Godzilla: The Series). Its premise is that one of Godzilla’s hatchlings from Emmerich’s film survived, imprints on Matthew Broderick’s character (voiced in the cartoon by another actor) and grows up to help humanity. 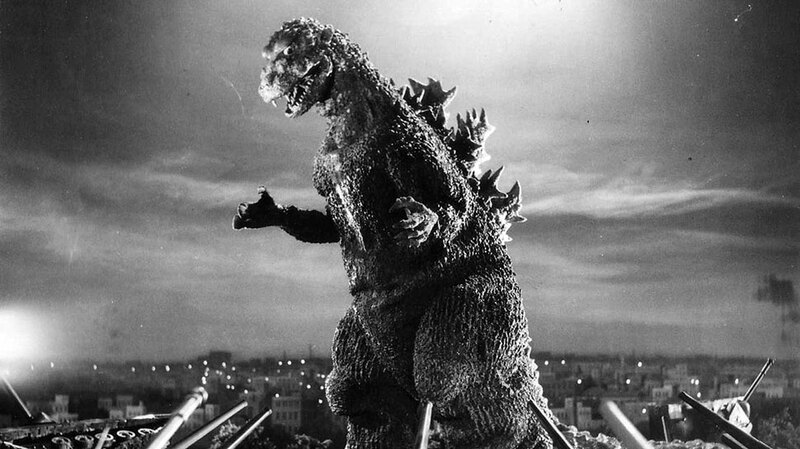 Godzilla fans know the monster became a de facto protector of humanity in several of the Japanese films (some seemingly aimed at similar age-groups to the American toons). 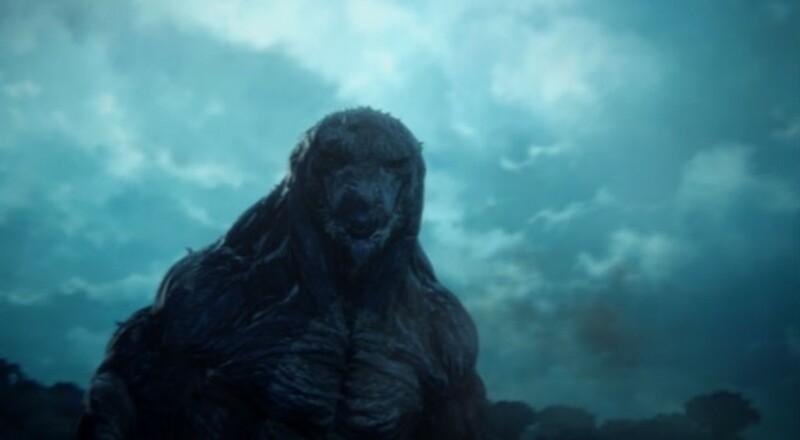 The 2014 American Godzilla comes to the same conclusion, even as the Godzillas in Anno’s Shin Godzilla and Polygon’s Planet of the Monsters are framed uncompromisingly as threats to humanity’s existence. Will a future film allow all these rival Gs to duke it out for supremacy? If so, we’re booking ringside seats on the peak of Mount Fuji.